Self-care is an important part of staying healthy. Having a strategy or plan can help you deal with everyday stressors and other big issues in your life. 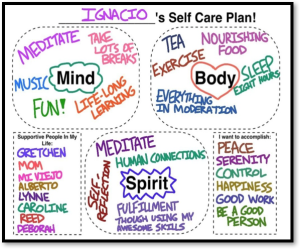 Self-care is unique to everyone, but you can always take steps towards doing so with some introspection about yourself. Nurture your social support system. Most of us would agree that it is important to have people in our lives who care about us and are there through the good times and the bad. These are the folks who make up our social support system – friends, family, and peers – that we can turn to when we need help. Think about how you can maintain your current relationships, build new ones, and perhaps even prune out damaging relationships. Honor your emotional needs. 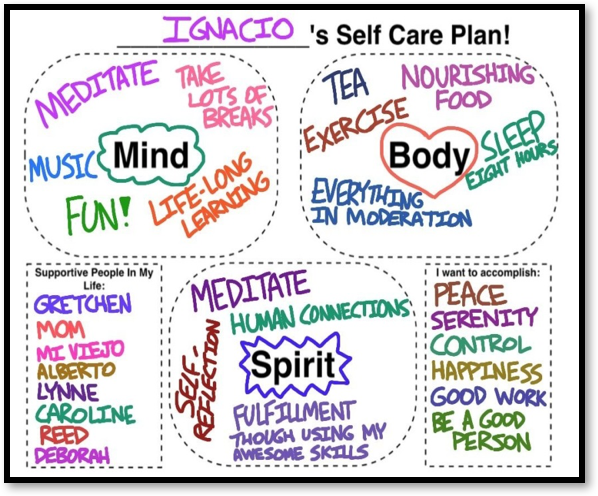 Self-care activities are simple: Be good to yourself. Do things you like that keep you happy. Know when you need to take time out or be near other people. Get in the habit of staying in tune with your emotions. Manage stress. Know your key stressors and how best to cope with or neutralize them. Love yourself. 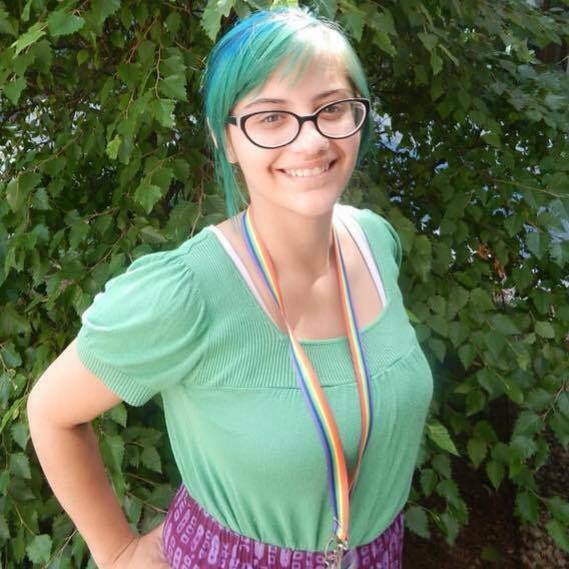 Work on cultivating a positive self-image and high self-esteem. 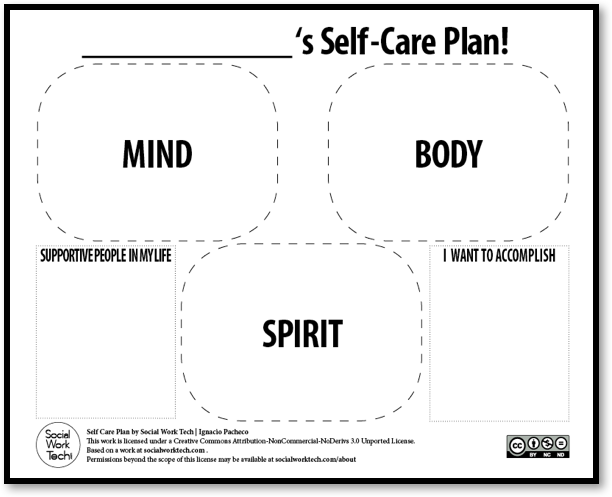 Come up with a self-care plan. 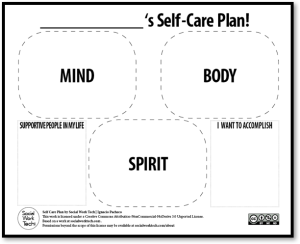 Research “self-care plans/ideas” or use templates below. Get counseling. If you’re uncertain how to proceed and feel constantly overwhelmed, try talking to a school counselor or social worker about your problems.